Dan Westwood – grabbed himself a couple of goals. Standard. 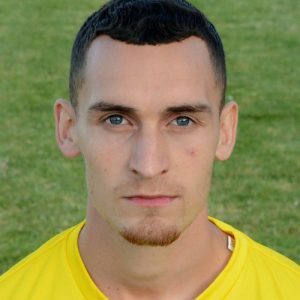 New signing Dan Westwood reintroduced himself to the Sporting Khalsa supporters with two goals as Ian Rowe’s side continued their preseason campaign. Alex Woodhouse also grabbed a brace in the second half as the first-time starting XI begins to take shape with a week to go until the first game of the season against Long Eaton. It was Westwood who broke the deadlock against the Kent outfit just before the break, nodding home in typical fashion to give Khalsa the lead. Soon after the restart, the Southern counties East Football League Premier side pulled level, a fine low drive by their striker finding the bottom corner. It didn’t take long before Khalsa were back in front, a good move ending with Lee Chilton combining with Westwood who made no mistake in front of goal. Woodhouse doubled the lead for Khalsa shortly after, a knock-down by Mykel Beckley giving the midfielder the easiest of tasks from close range. And before the final whistle brought an end to proceedings, Woodhouse gave the Khalsa management even more to chew on, expertly controlling a cross at the far post and flicking it in to the opposite corner to finish the scoring. Everyone at Sporting Khalsa would like to thank Punjab United for making the journey from Gravesend and wish them all the best for the rest of the season. 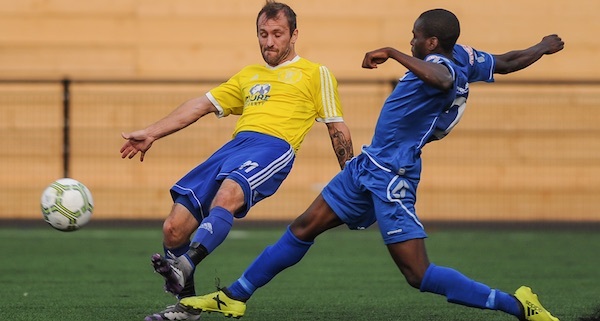 Khalsa’s preseason campaign comes to a close on Tuesday when Alvechurch are the visitors (kick off 7.45pm).